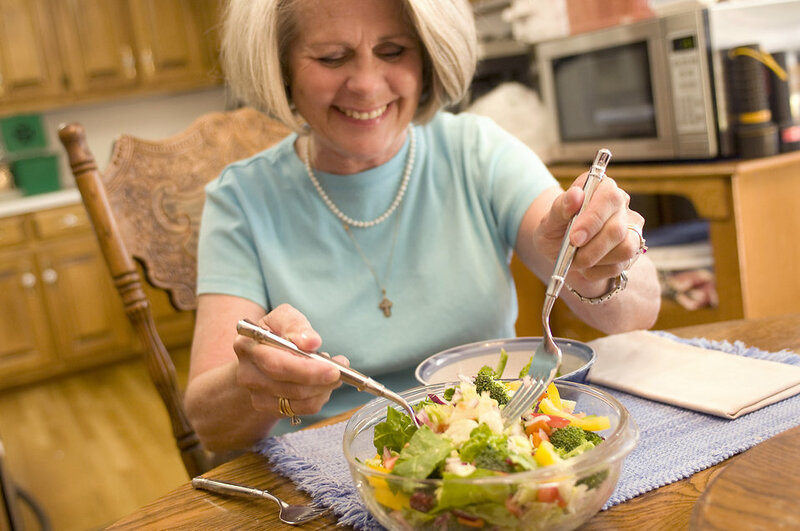 Description: The woman pictured here was shown serving herself a freshly-made vegetable salad, packed full of healthy ingredients. PD Info: This image is licensed under Public Domain. This image is a work of the United States government. A work of the United States government, as defined by United States copyright law, is 'a work prepared by an officer or employee of the U.S. government as part of that person's official duties.' In general, under section 105 of the Copyright Act, such works are not entitled to domestic copyright protection under U.S. law.